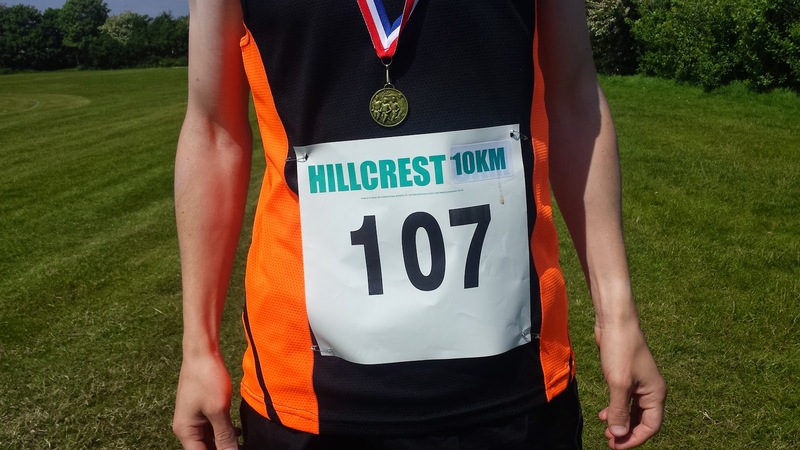 The Hillcrest 10k is a very low key event and is put on by the Hillcrest Netball Club. 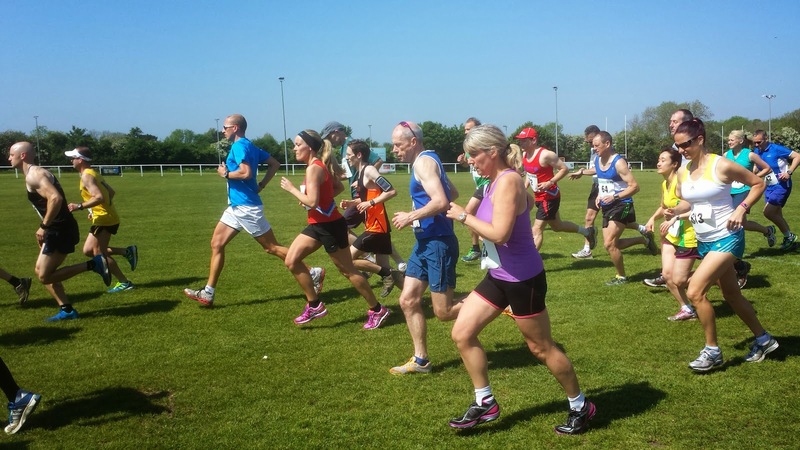 The race HQ, start/finish, changing rooms, toilets, refreshments and car parking are all at Warlingham Rugby Club, which is just off of Limpsfield Road in Warlingham. With the event being low key, the method of entry was via a paper entry form which needed to be sent in advance. It was also possible to enter on the day. I couldn't see a way to enter online. 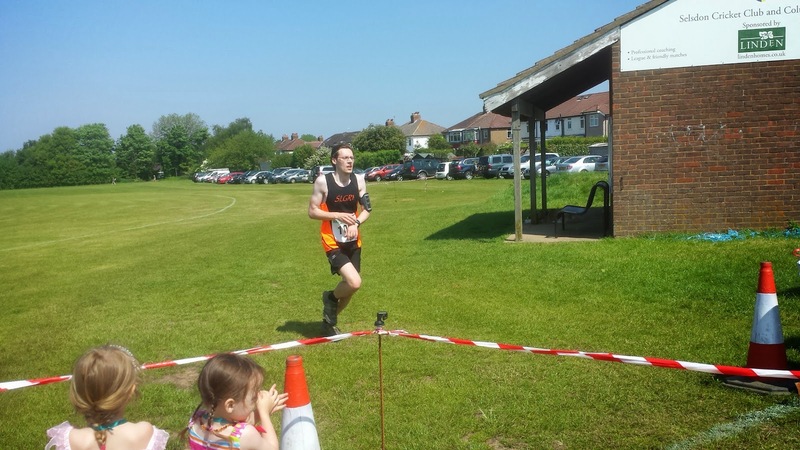 The reason I entered this particular race is that the majority of it takes place on the Riddlesdown countryside area, which is also the venue for my home parkrun. Even though I have run Riddlesdown parkrun 70 times (plus one freedom run) I had never really explored the area any further than the confines of the parkrun course. The race started at 11am on the grass directly outside the the rugby club's clubhouse. 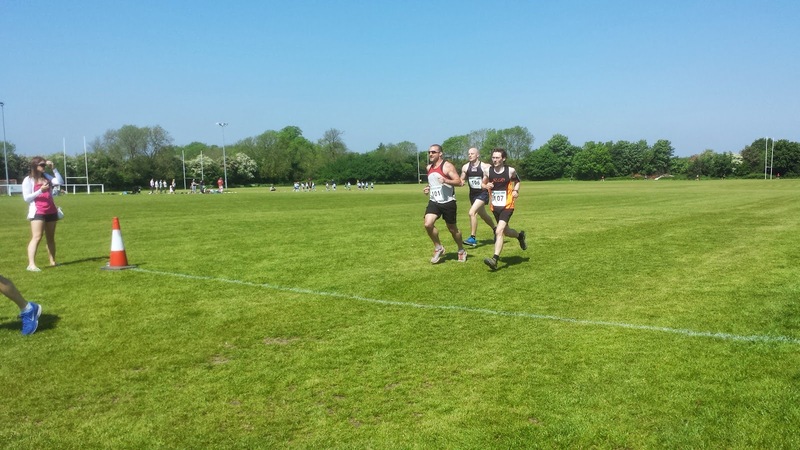 Over the course of the 10k route, runners encountered a mix of grass, tarmac, stones, gravel, and dirt paths. Some sections were fairly flat, but the underfoot surfaces (quite a bit of uneven ground and long grass) were not great for fast running. Overall the profile would be best described as undulating, but with a couple of testing inclines. The race started with a lap-and-a-half of the rugby fields. The runners then went through a short trail path and onto a small private road. At the end of this road, they had to cross Tithepit Shaw Lane - A marshal controlled the traffic here to allow the runners to safely cross the road. The runners then continued along the pavement until they reached Riddlesdown Common. Entering the common, underfoot changed to grassy/dirt paths and the runners follow the course around a few of the fields before running a section of the Riddlesdown parkrun course in reverse. This section included the stony trail section and when the runners reached the end they were directed onwards into the part of the area that goes beyond the parkrun course. This next section was where the undulating part started. At first it meant heading slightly downhill towards a marshal. Straight after the marshal there was a closed gate that runners had to open to pass through. It's funny how such a simple task can seem impossible during a race! Anyhow, once through, the runners continued on a trail/dirt path before joining a long straight hard surfaced path that undulated. At the end of this path, the runners re-joined the grass paths and did an almost-180-degree turn when reaching the marshals and water station (my water was in a polystyrene cup which was harder to drink from than a plastic cup and most of it went down my shirt rather than in my mouth). This was the far end of the course and was about 5.5 kilometres into the race. From here runners headed back along a slightly different path until, at 7km, they reach a second gate to pass through. After this gate, the runners took a hard left and were faced with the start of the toughest section. First of all, the next path was heavily overgrown and on an incline. At the end of the path, the runners turned right and ran directly up a much steeper section before joining the very end of the first section of the parkrun course (apologies if you're not familiar with the parkrun course). It was interesting to run in the opposite direction along the parkrun start straight. From here, the runners left the parkrun course and circumnavigated a few more of Riddlesdown's fields. Eventually the course joined the final section of the parkrun (in the same direction). The strange and tough mental aspect of this section was that usually on a Saturday morning I would shortly be crossing the finishing line and stopping. However, when crossing the point used as the parkrun finish line, I still had a whole kilometre left to run. 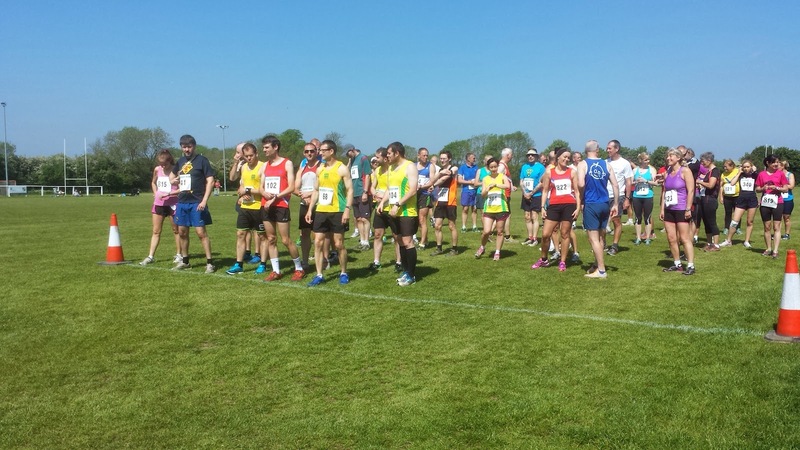 The last kilometre had the runners going back along Tithepit Shaw Lane and, with the aid of the traffic marshal, crossing the road and then heading back into the grounds of the rugby club. With just half a lap of the rugby field at the end, the finish line was a welcome sight. I was handed a cup of water instantly by one of the children who were volunteering on water duty (very good job - thank you) and then shortly after, my participation medal. Out on the course were marshals and some direction signs. The marshals provided a lot of information as I passed which was great but sometimes difficult to take in. The signage could have been a little better, especially at points where the paths split. There were a few times that I was unsure which path to take and ended up running a slightly longer (or harder) version of the course. My goal for this race had been to get as close as possible to 40 minutes, with a eye on possibly trying to finish under 40 minutes if the course and conditions would allow (they didn't). I started aggressively and ran the first couple of kilometres at a pace slightly faster than my current 5k pace. As you can imagine, that kind of approach is bound to come back and bite... and it did. 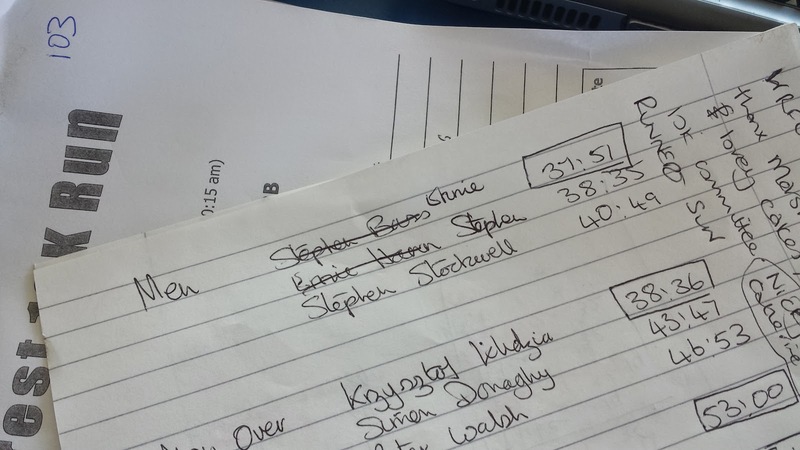 Just over half-way into the race, I felt wrecked - and that was before the most difficult section. The hot weather and heavy training week didn't help much either! I've looked at my GPS data and even though I felt like crap for a large part of the race, I still managed to keep my kilometre splits within a fairly reasonable range. So I'm quite pleased at that. I finished in a time of 40.49 which although slower than I was hoping for, was faster than I thought it would be as I struggled through the latter stages. I think I should be quite happy with that time. From the 1km point onwards I was in 4th position, and this is where I ended up finishing. Plus, as the 3rd placed runner was a veteran, I was the third placed Senior Male and had my name mentioned during the prize giving ceremony at the end. That was a first for me, so was very pleased. 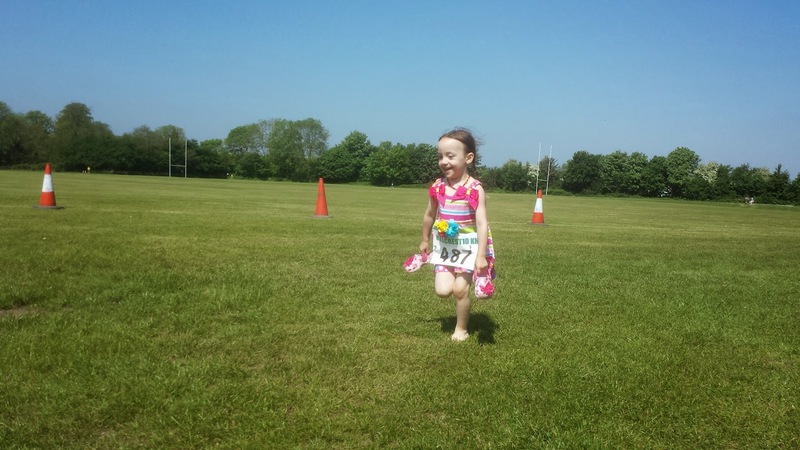 But.. the best part of the day was that my daughter entered and ran her first ever race - All by herself! (as she keeps reminding me). It was one lap of the rugby fields and was about 900 metres in length. The downside is that this race took place after the 10k runners had headed off for their run, so I didn't get to watch her. It would have been awesome if this race could have taken place 30 minutes or so before the main event so that any parents that were running the 10k could also watch their children. Anyway, she almost ran the whole way. The only time she stopped was about half-way around when she decided to take off her shoes to run barefoot. By the looks of it, she was smiling all the way too. 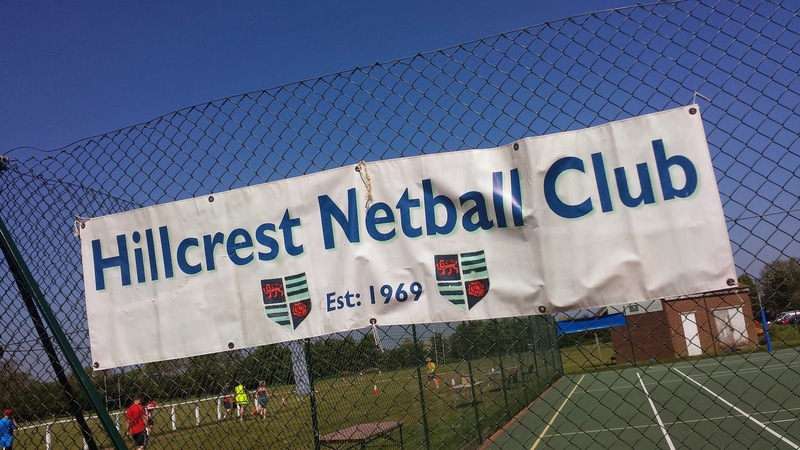 The results can be accessed via this news page on the Hillcrest Netball website.